Robert Coppola studied architecture in Washington, D.C. and practiced architecture for twelve years after graduation. He spent five years as a designer with the firm of Eliot Noyes and Associates of New Canaan, Connecticut. In 1972 Robert was admitted to Cornell University. He began his teaching career at Cornell and later joined the faculty of Massachusetts College of Art, currently a tenured professor. While teaching Coppola continued practicing architecture until 2001, when he traveled to New Orleans. While photographing architectural sites he took one photo of a fire hydrant. While reviewing these images he was struck by the hydrant and the way it became part of the neighborhood fabric. Photography had always been a means to document architecture but this image was moving toward artistic expression. He spent the next five days taking photographs of fire hydrants. Each hydrant was different, an individual character that expressed the culture and economics of the French Quarter. Hill Memorial Library at Louisiana State University in Baton Rouge acquired this series of photographs, Fire Hydrants of the French Quarter in 2005. Social documentary photographers that reported conditions of factory workers in the age of industrialization, the migration of farmers during the great depression and street photographers of the early to mid twentieth century influence his work. Over the past decade Coppola’s projects have included photographic essays on the plight of migrant farm-workers. Coppola’s third series El Calor: La Fruta del Diablo focuses on California Agribusiness. The first two series concerned boutique farms, tobacco barns and the use of migrant workers. 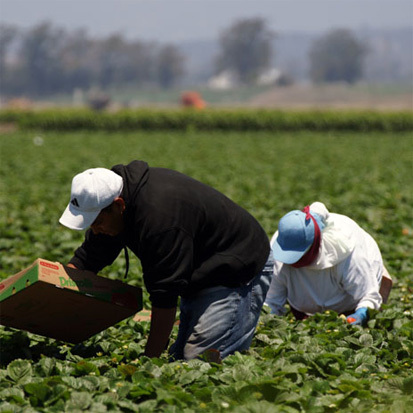 El Calor focuses on migrant farm workers in the California Valleys: Imperial, Salinas, and the vineyards of Napa, Lodi, the Russian River and the Delta. He was granted his first solo exhibit in 2003 and has continued to exhibit since he began working as a documentary photographer. His work has been exhibited at the Rhode Island School of Design Art Museum, Massachusetts College of Art, Bernard Toale Gallery, and Attleboro Arts Museum and currently at the Library of Congress. Coppola’s work has been added to the permanent collections of: Library of Congress, 2011, 2008, Washington, DC; The Boston Public Library, 2006, 2004, Boston, Massachusetts; Hill Memorial Library at Louisiana State University, 2005, 2006, Baton Rouge, Louisiana; Howard Gotlieb Archival Research Center, 2005, Boston University, Boston, Massachusetts and numerous private collections. Since 2001 he continues to make photographic essays, seeking to explore American culture in depth, investigating the challenges that define our way of life.